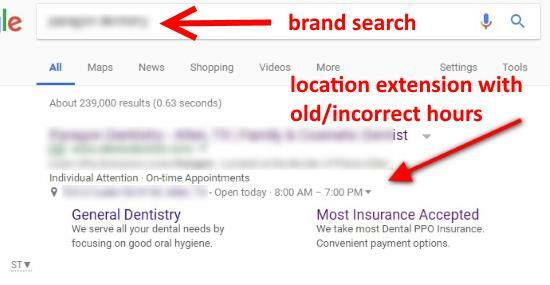 Adding location extensions in AdWords is a great way to draw more nearby customers, and sometimes to muscle into the paid Google Maps results. 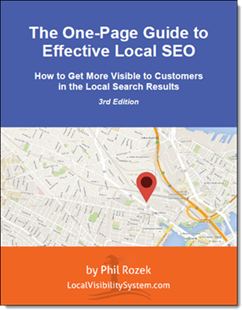 All you need is to have a Google My Business page, run AdWords ads in your area, and go through a pretty easy syncing process. The trouble is good results may take more babysitting than you’d like. Your Google My Business page doesn’t take much tending these days, but AdWords is another story. AdWords takes more tending. Case in point: if you set up a location extension in AdWords and then update your Google My Business page, your location extension may still show your old, incorrect business info. 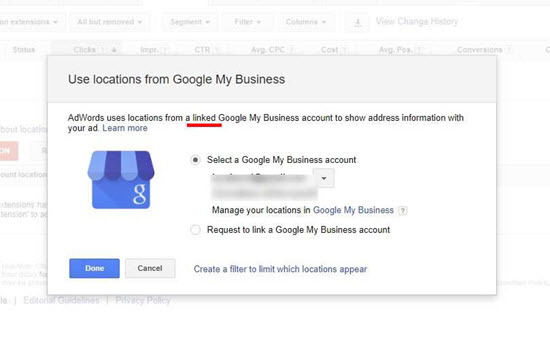 AdWords pulls location extension info from your Google My Business page, so you need link to it while creating the location extension. That “link” terminology is confusing. One could be forgiven for thinking any changes in GMB will automatically be reflected in the AdWords extension. One would be WRONG. Turns out the information is imported at the creation of the extension, with no other connection thereafter. If you change the information in your GMB profile, it will NOT be reflected in the extension. I stumbled upon this by accident, after recently changing a client’s operating hours. I just happened to see the ad with location extension showing, and it had the old hours (location extensions can display hours sometimes, though more often phone #). I assume if other info changed in GMB it would also not update. Anyway, after calling AdWords support and speaking to an overseas agent (apparently I’m not big enough to get routed to stateside support) the agent checked with his supervisor and then routed me to GMB support, claiming it was a glitch on their end. GMB support verified that all the data was correct on their end and sent me back to AdWords support. 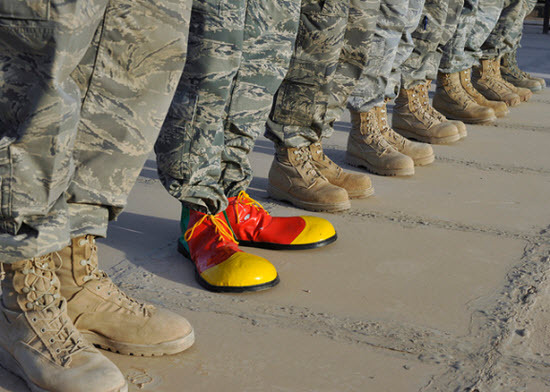 Now speaking to a second AdWords agent who was similarly stumped, he also checked with his supervisor, who correctly understood the issue, which is that GMB info does not auto update into AdWords extensions. So the SOLUTION is to remove the extension and create a new one, thus pulling in the new info. This is not at all obvious, and I’m willing to bet there are numerous ads out there displaying old information as a result. So the moral of the story is, if you ever update GMB info, remember to go back and re-create your location extensions. To add insult to injury, Joy Hawkins also noted that the AdWords fields in GMB do sync, which means the capability is clearly there. I complained loudly enough to the support agent that the supervisor grabbed the phone to apologize and assure me he would bring up these issues as suggested improvements. Have you run into syncing problems – or other problems – with AdWords location extensions? What did you do? Wish I could take credit for it! That could be a fair amount of work. I can’t say I’m surprised. They don’t seem to put much effort into this product. 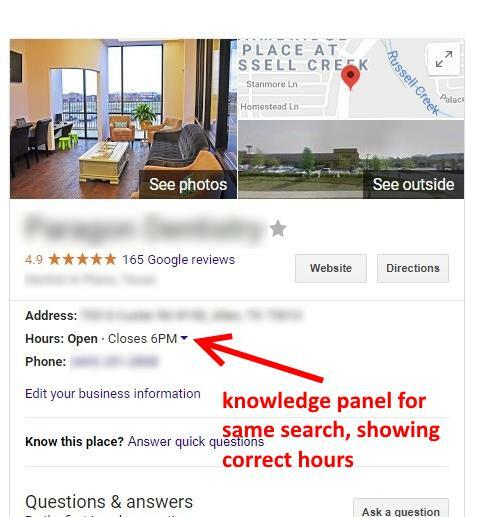 Any idea why reviews and category name from google my business for one location that is newly synced (but has significant review history) doesn’t show? My previous location shows reviews and category name just fine when it pops up, but the new location on ads just shows an address (the location extension) without any reviews/category name…dissuades clients and leads to a lower CTR than many organic listings shown beside it. All of the other info, i.e. hours, address, etc appears to be accurate, and when I look in the adwords shared libraries, all of the information (including category) appears to be pulled correctly from google my business.